Tanya Miller’s recently opened gorgeous ‘Home Away From Home’ hotel is tucked away in the narrow Moorish streets of an equally delightful town, hence its name Miller’s of Frigiliana. Like Miller’s at the Anchor in Porlock Weir, another charmingly quaint spot and a huge part of my past, Miller’s of Frigiliana is tastefully and comfortably decorated with antiques, charm and style. Miller’s Antique Price Guide books fill gorgeous bookshelves and of course, while there a Miller’s Gin & Tonic is must. The main door opens to a delightful reception area leading to one of its seven bedrooms, two of which are junior suites and perfect for families or rent out the entire house to sleep a maximum of 18 people. Decorated throughout in a Spanish/Moorish style and completely in keeping with this pretty, picturesque, white hill town where the sun shines almost every day. You can breakfast al fresco and chill on the roof terrace while in the hot Jacuzzi and inhaling the calming views. Life slows down in Frigiliana. Relax, wander and enjoy the laid back lifestyle while only a 7 minutes drive from the nearest beach. It’s also on the edge of the Sierra Tejada and Almijara National Park, a wonderful wilderness for walking or mountain biking or if you fancy skiing then head to the Sierra Nevada only 90 minutes away. If being more active is your thing then golf, scuba diving, horse riding, quad biking, jeep tours or even Spanish lessons are all nearby. 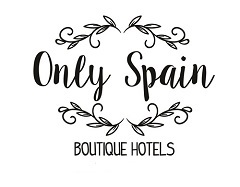 Miller’s is also on our sister site Only Spain Boutique Hotels. See Miller’s of Frigiliana on Only Spain. For more information visit Miller’s of Frigiliana‘s website.